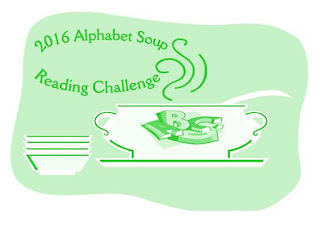 2015 is almost over and it is time to think about some reading challenges for the upcoming year. There is a ton of reading challenges, which I want to take part in. So let's get started. As usual my goal will be 100 books. I've done it this year, so it shouldn't be a problem to do it again. This challenge is created by All Challenges All The Time, which is a group on Goodreads. Some of the topics for the books overlap with the ones from the Ultimate Reading Challenge, so that is awesome because otherwise I would have been drowned in TBR books for 2016. 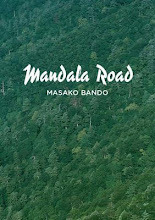 You can find the list of books here (it's quite a chunky one). 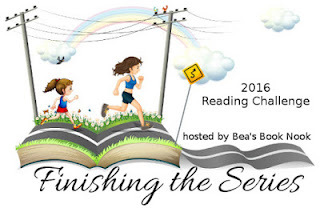 This challenge is hosted by Bea's Book Nook and I have a blog post with a list of series I'll try to finish next year right here. This challenge is hosted by Escape With Dollycas Into A Good Book. It's an alphabet challenge so all you have to do is to read one book that has a title starting with every letter of the alphabet. I have too many books on my TBR so this challenge is just perfect! It is hosted by Second Run Reviews, Chapter Break, and Bookworm Brandee. Read books that are in your personal library that were obtained before January 1, 2016. Responsibly obtain books for your personal library. You may wish to abstain from purchasing books or set a book budget for yourself. You decide the best way to get control of your TBR pile and read the books you already own. Library books (and textbooks) do not count for the challenge. You may use your library to obtain different formats of books you already own and count those towards your goal. 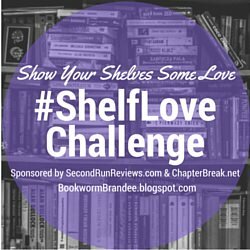 Now Select Your Goal For The Shelf Love Challenge 2016! As for my bloggin goals, they are not so many. I really want to become better at blogging and as we all know you become better with more practise. I'm not really good at writing book review, but I'm trying. May be some of you are wondering why my book reviews are so short - it's because I don't like reading long reviews. So these are my reading/blogging goals for 2016. Wish me luck. What are your reading/blogging goals for the year? Zhana has read 1 book toward her goal of 100 books.